Ronnie Cogan having a cigarette and a drink with one of the Supporting Artistes. Terry Smith the Wardrobe Master is going below in the background. photo: Martin Neville. It was a glorious day to film on Windermere. Conditions were perfect. 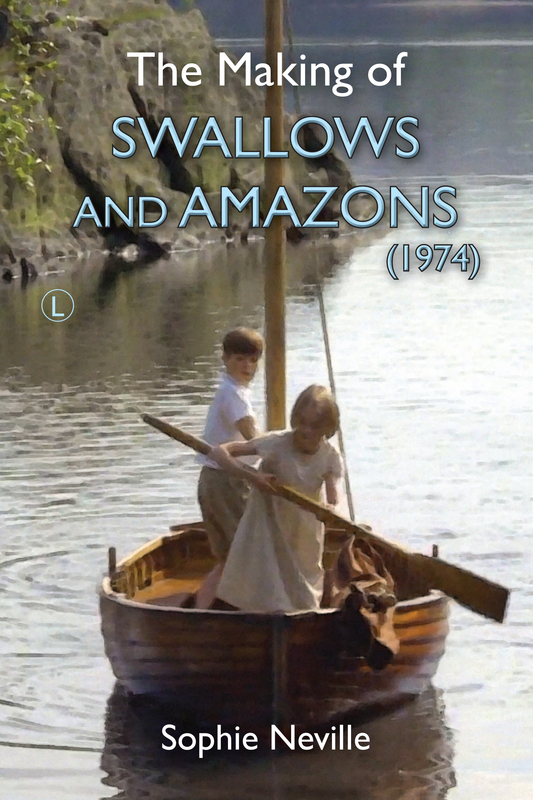 My father had been asked to appear as a Extra in the scene in the film of Swallows and Amazons when the the crew of Swallow narrowly miss colliding with a steamer, that transports tourists up and down the lake, on their voyage to Wildcat Island. He was the tall dark native in a blazer and white flannels aboard the very elegant Lakeland steamer, The Tern. A lovely way to spend a sunny morning in the Lake District. MV Tern on Windermere was built in 1890 with a steam engine, converted to diesel in the 1950s, and is still operating today. My mother had been obligued to go to Bristol as she presented a weekly programme for HTV with Jan Leeming in those days, so Dad must have been in the dual role of chaperone. A sailor with years of experience racing on the Solent he took a keen interest in all our sailing scenes. …‘Carry on Matron’. I wonder what near disasters they had on that film.